Chapter 2: What are the chances? If a little knowledge is a dangerous thing, what happens when you have a lot of it? One of the worst things that a young child can do to a neurologist mom is to lag on milestones. There are a lot of horrible diseases out there, and we know too much. During Julianna’s first year, we dealt with colic, a move (different state, different jobs) and Steve’s three month long deployment. The signs of her disease were there, but for the first year, I was too busy to freak out. Winter 2012 – Arizona. J and A’s second state. That’s what I told myself, anyway, and that’s what I tried to project. I saw things, but I didn’t want to overreact. Feeding difficulty – this was the first sign, and we blamed colic. (See the Angry Burrito). Things got easier once she started solids, but she was never a fast or vigorous eater. Coughing with feeds – I knew that this could be a sign of aspiration (i.e., food getting into the airway instead of the esophagus), but it didn’t seem to bother her, and she wasn’t getting frequent respiratory infections. Stridor – this is a high pitched, whistling noise she made with inspiration. It usually means that something in the upper airway is blocked. If it comes on suddenly, it’s a medical emergency. J’s came on gradually and was there most of time. Weak ankles – whenever J tried to bear weight, her feet supinated (ankles rolled outwards). Unstable with sitting. 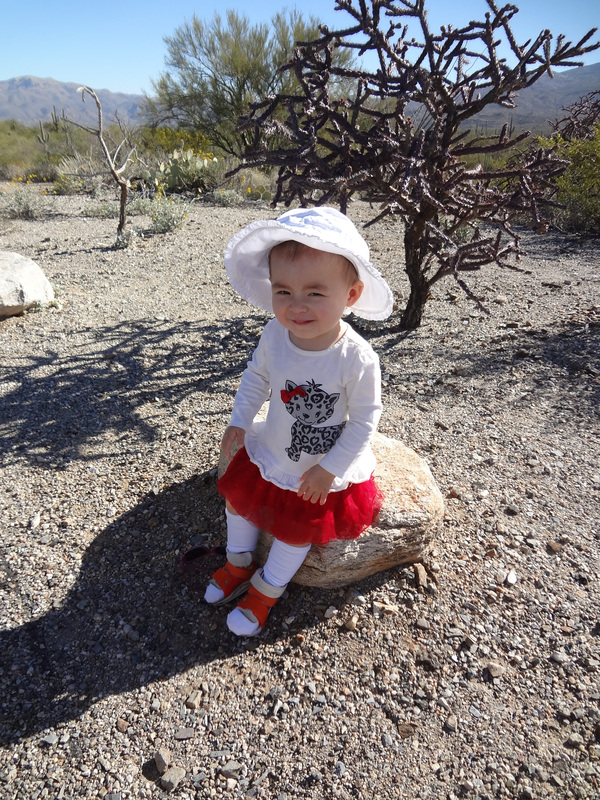 J started sitting up at around 6 months, but she would plop over without warning. She didn’t sit up securely until about 12 months. Aug 2011. First birthday. My hand is behind her for support – just in case. At her first year well check, we talked about all these symptoms. Overall, J looked like a healthy baby who was lagging in gross motor milestones. 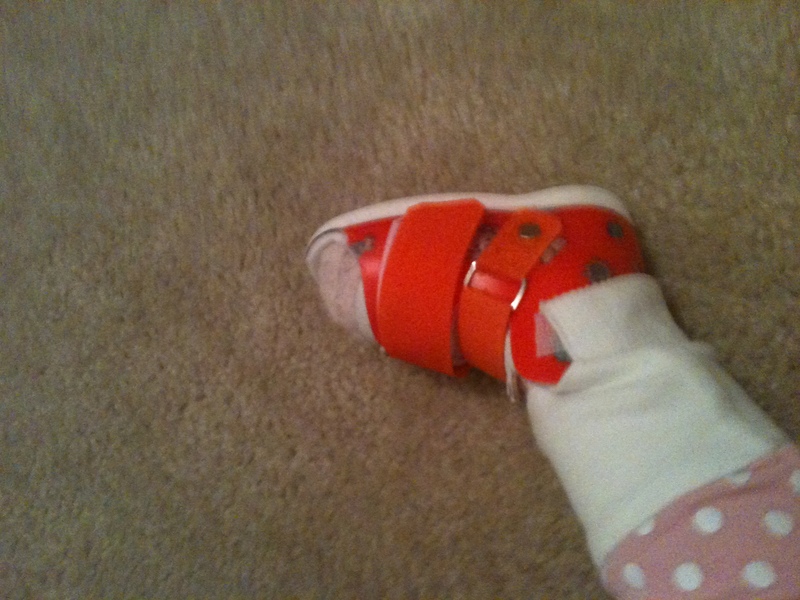 I had already decided that it was either a neurological or orthopedic issue, and her pediatrician agreed. Orthopedic issues are usually a lot more fixable (and therefore less scary) than neurological ones, so it made sense to pursue this first. We saw the orthopedic surgeon when Julianna was about 14 months old. He didn’t have a diagnosis, and thought that J would simply be a late walker. He reminded us that 5% of kids don’t start walking until 18 months. He recommended AFO’s (ankle foot orthoses, or ankle brace). When she started wearing them, we noticed an immediate improvement in posture and stability, and we hoped that this would make the difference. Jan 2012. 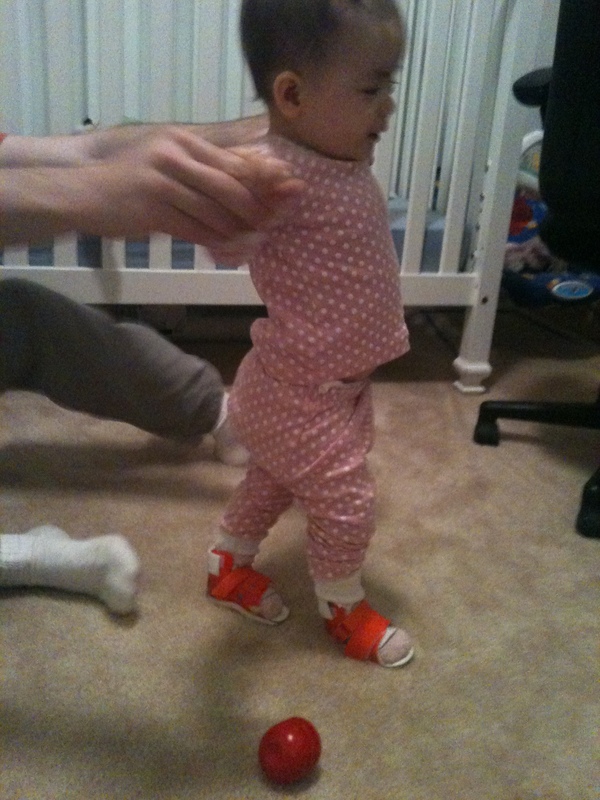 First day with orthotics. We had high hopes. 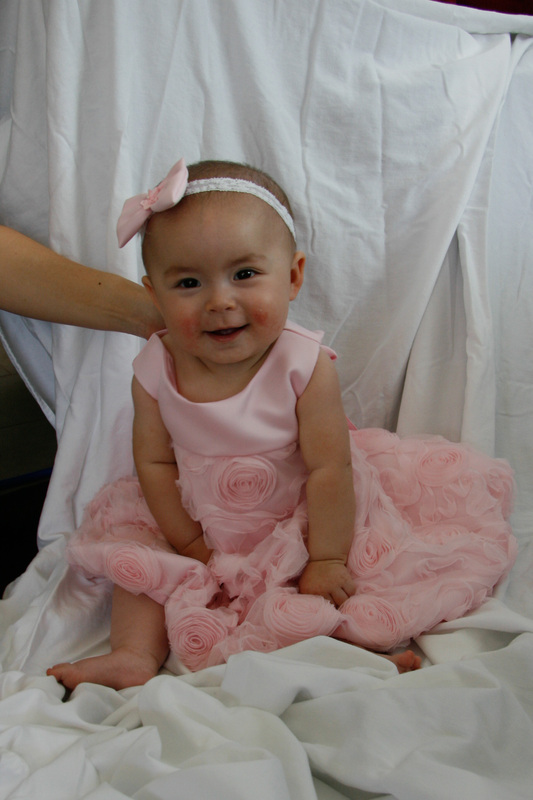 Julianna’s first year was not all about missed milestones. Like I said, there has been a lot of worry and tears, but a lot more joy. This is also what we remember from the first year.